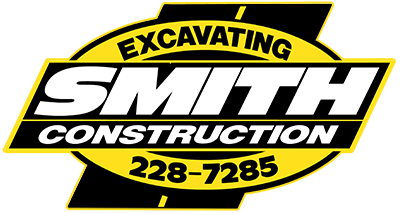 Smith Construction, Inc. has been a family owned business operating in Marquette, MI since 1993. We have evolved from Paul Smith Landscaping, our parent company with nearly 35 years of experience under its belt. With the original focus of Paul Smith Landscaping, Inc. being large scale restoration projects on highway development. Smith Construction, Inc has since grown and established ourselves as a competent and reliable contractor for a wide variety of work. Smith Construction, Inc. is pre-qualified with the Michigan Department of Transportation with a rating of over $5,000,000. We continue to grow and push to new limits as a contractor in Michigan. We offer services that include excavation, demolition, trucking, commercial paving, storm sewer and water services, shoreline protection and material and material delivery sales. Smith Construction, Inc. has worked on a number of commercial building sites, roadways, parking lots, building demolitions, new road construction and continues to search for new and exciting ways to expand our reach and further improve our professional and personal relationships within our community.